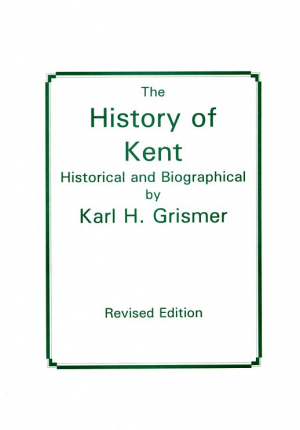 By Karl H. Grismer, revised edition 2001, 320 pp, illus., index Kent Historical Society Publication (reprint of 1932 Record Publishing Co.) Softcover Contents include history of the area prior to the settlement of Franklin Mills through Kent's growth and includes detailed listings on its industries, churches, schools, military service records and a “who's who” list of profiles of leaders through 1931. If you're a student of Kent History this is a must-have. Underground RR active in Kent. Grand opening of Brady Lake Resort and Amusement Park on June 11th.